More than 30 Delta leaders in Atlanta, Detroit, Los Angeles, Miami, New York and Toronto spent a night on the streets of their respective cities Nov. 15-16, in an effort to raise awareness and funds to combat homelessness among young people in partnership with the Covenant House for their annual Executive Sleep Out. With sleeping bags and cardboard serving as their beds for the evening, Delta leaders took to the streets alongside other corporate leaders at the annual Covenant House Sleep Out, which is held the week before Thanksgiving. The event allows executives from companies all over the U.S. and Canada to stand vigil for homeless children and wield their influence to raise awareness and critical funds to help homeless youth and get kids off the streets. These events across the country and in Canada started at 8 p.m. local time on Nov. 15, and ended at 7 a.m. on Nov. 16. These hours are meant to align with what a homeless youth may experience while on the street and without shelter. 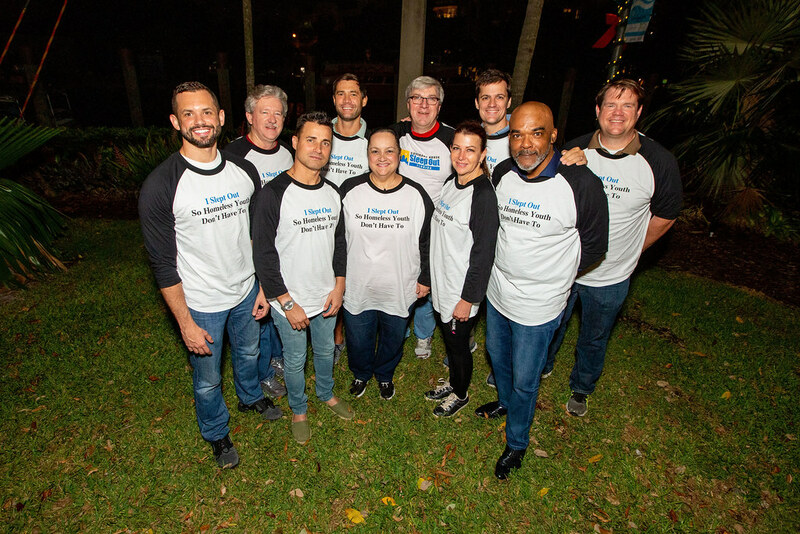 "I'm humbled and proud to be sleeping on the streets for my third consecutive year, supporting the incredible work Covenant House does to help kids get the new start they all deserve," said Henry Kuykendall, S.V.P. — Airport Operations, Northeast. "Tonight, Delta people across the system are gaining a better understanding of what homeless kids have to endure on the streets while raising awareness and funds for an important cause." Tori Forbes-Roberts, V.P. — Reservation Sales & Customer Care; Mona Harty, Director — Customer Engagement & Experience Strategy-Ops; Theresa Keaveny, Director — Reservation Support & Solutions; Heather R. Koscevic, General Manager — HR Reservations & Customer Care; Timothy Kraft, Director — Customer Engagement & Experience Strategy-Comm; Katy Nichols, Director — Res Tools & Tech; Dawn Mahoney, Managing Director — Reservations Finance; Tricia Soulimiotis, Director — Reservations Support & Solutions; and Katherine Stevens, Director — Strategy Planning & Customer Experience. Rufus Bryant, Director — ACS Operations DTW; Bobby Johnson, General Manager — Operations; John Mazza, Station Manager I — Line Maintenance; Eric Pricco, Director — Airport Services; Jeff Simonin, General Manager — Operations. Ranjan Goswami, V.P. — Sales-West; John Fechushak, V.P. — Airport Operations LAX; Mary Loeffelholz, V.P. — Corporate Real Estate LAX; Melissa Abbott, General Manager — Sales West Region Partnerships; and Perry Venturo, Director — Airport Operations LAX. Luciano Macagno, Managing Director — Latin America & Caribbean; Max Etcheverry, Director — Multi National Sales-Latin America & Caribbean; John Higgins, Station Manager — MIA; Daryl Lynem, Station Manager — FLL; and Bob Mantle, Station Manager — PBI. Henry Kuykendall, S.V.P. — Airport Operations-Northeast; Stephanie Baldwin, V.P. — JFK Airport Operations; Chuck Imhof, V.P. — New York Sales; Ginny Elliot, Managing Director — ACS Operations; Patricia Ornst, Managing Director — Government Affairs NY; Ravindra Dadhich, Director — Airport Operations; and Charlie Schewe, Director — New England Sales. Adeline Piekham-Hsieh, General Manager — Sales-Canada. Delta is a corporate sponsor of Covenant House, and this is the fifth year Delta has sponsored the National Executive Sleep Out.